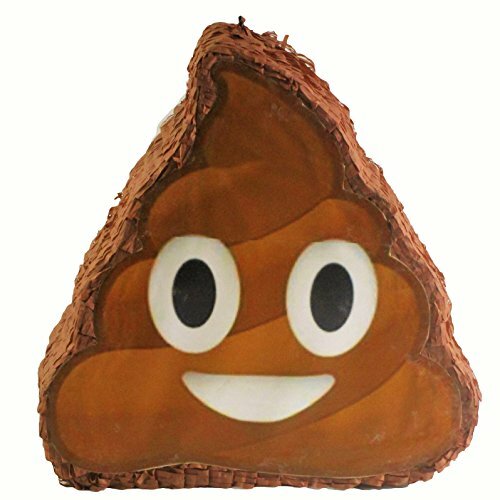 Cause some s# ++y days, persons or situations are worth celebrating pinata measures 15″ high by 15″ long by 5″ deep and holds 2 lbs. Of toys and candy (sold separately). Perfect for emoji themed birthday parties, office events or simply for texting addicts makes a unique decoration, exclusive photo prop and fun party game. Comes with strong cable tie to hang pinata. Attach a rope to pinata’s cable tie and hang from a tree branch. Pull the other side of the rope so the pinata swings up and down. Guests must take turns to beat it with a stick. Add a blindfold and spin player around for extra fun .